Welcome! 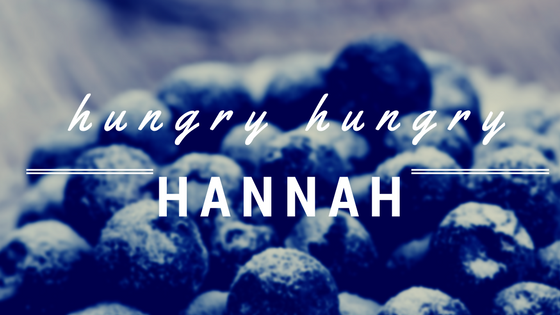 This is Hungry Hungry Hannah, a food blog about an every day young professional with a love for cooking, eating and sharing my favorite thing’s with the people in my life. My name is Hannah and I’m a 26 year old from Northern Virginia who recently relocated to Charlottesville Virginia, my beloved college town, to start a new career with UVA Health System and new chapter of my life with my long time boyfriend. Being back in my college town has been incredible, not to mention the food here is actually the greatest, and I am so lucky to have friends and family who visit regularly, which made the transition a little bit easier. This blog will include many accounts of eating our way through Cville and fun times with new and old friends. Why start a food blog? I started this food blog mostly for myself, as a fun way to document my favorite recipes, restaurant discoveries and favorite meals. I have always loved reading cookbook’s and finding recipe’s online to try and share. After spending years following my own favorite food blogs I thought it was about time to try it myself. I want this to be a place that’s inviting and shares how much fun trying new things in the kitchen can be. My own favorite blog’s are the one’s that have a sense of humor and share their failures as much as their successes. I’m going to try and replicate that as much as possible. Cooking for yourself or other’s an be intimidating, especially when you are first starting out, and I want this to be a place to share simple recipe’s that have become staples in our life, combined with some adventurous attempts that may or may not work out. Plus- some of my family favorites that have been passed down by chef extraordinaire- Teri Humphrey (aka my mama). College: I majored in Foreign Affairs at the University of Virginia ( go hoos! ), with a minor in Studio Art. Current food weakness: Pimento cheese, on everything/anything & Ramen. First concert: Dave Matthews Band. and it’s safe to say now being in DMB’s original town, growing up with an avid Dave fan & now dating one as well- the love runs deep. Favorite place I’ve traveled: Internationally: Italy (amalfi coast & florence), Barcelona & Turks and Caicos. Favorite purchase: I have a love for ‘farmhouse chic’ decor, so furniture is definitely going to trump this category. The winner is either an old house window that was turned into a mirror (found at my favorite splurge furniture shop in Cville- The Artful Lodger) or the headboard that my mom and I made out of antique doors. The doors are distressed and are painted a light blue in chalk paint with lanterns attached. Obsessed. Next trip planned: Adam and I went to Thailand in November and it was an amazing experience! So cool to go somewhere completely different. Next Up: I head to Vienna Austria & Budapest with my family in May. Current goals: Get better at skiing, create more art, try sailing ( Adam’s goal/dream is for us to own a sailboat) and longer term, get into grad school. Favorite things about Cville: Vineyards, fall in the mountains, the rotunda, and the food- duh! Thanks for being here! Now- eat up!